Kia's improved fourth generation Sportage looks every inch the stylish SUV about town, even though most models sold have just the front wheels driven. In 1.6-litre GDi petrol form, it's better value than ever, as Jonathan Crouch discovers. 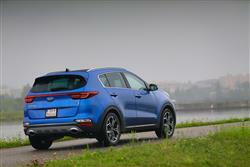 Kia's improved Sportage is stiff competition for both Qashqai-like Crossovers and RAV4-like compact SUVs. Even in entry-level front-driven 1.6-litre GDi form, it's a very complete - and surprisingly desirable - family car. Family SUVs - Nissan Qashqai-like family hatches with car-like dynamics and running costs that belie their crossover-style looks and optional 4WD - are big business in Britain these days. From almost nowhere a few years ago, this class of car now accounts for nearly 10% of the UK market. Such a lucrative sector is it that today, we have all kinds of models claiming to be 'SUVs'. Some, like the Qashqai of course and Peugeot's 3008, clearly are more family hatch than 4x4. Others, like Ford's Kuga and Skoda's Karoq, look far more like the kind of model that until a few years ago, we would have classified as a soft-roading SUV. 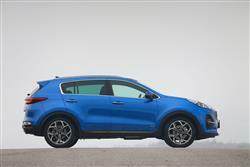 Visually, Kia's improved fourth generation Sportage falls somewhere in between these two extremes. The current enhanced version of this car is basically a development of a smart predecessor that transformed Kia's sales in this segment. All that car needed was a smarter interior and a bit more technology, things this redesigned version is well ready to deliver. Most of its buyers will be quite happy with the 2WD models that make up the majority of the range, variants like the most affordable 1.6-litre GDi petrol version we look at here. 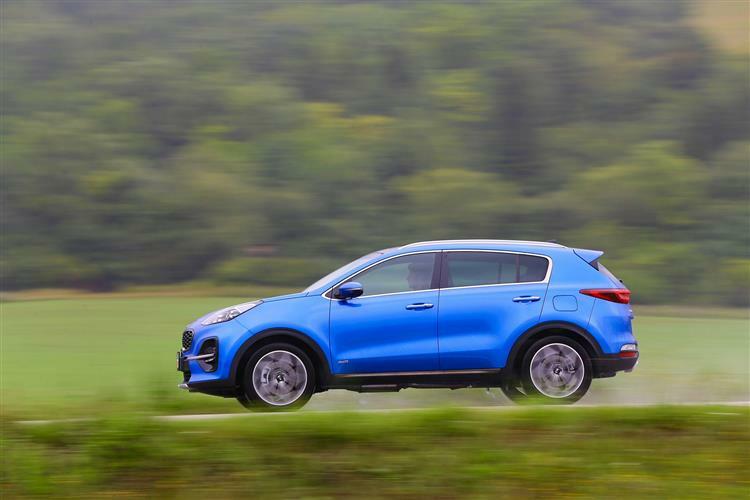 Behind the wheel, the feeling is far more RAV4 SUV-like than the more ordinary family hatch-like feel of the Nissan Qashqais and Peugeot 3008s that Kia says this car competes against. A lot of buyers will think that a very good thing. It's certainly impressive the way that the designers have managed to combine a commanding driving position with a seat that's easy to slide in and out of. 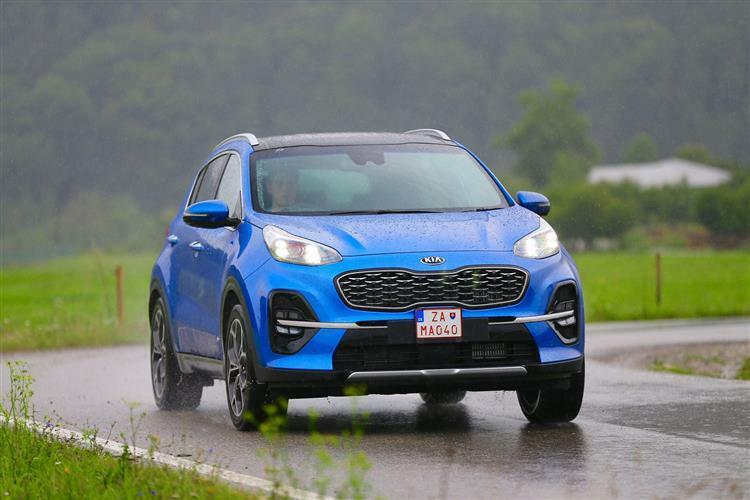 High-sided flanks, a nose invisible from the driver's seat and a small rear window do make this a car that demands a little adjustment if you're trading up from something more conventional, but once you adapt, you should find the Sportage to be an easy thing to live with. Of course, the car isn't intended for those planning a jungle expedition. It'll be equally ineffective if you want to corner Lewis Hamilton-like on your door handles, a pastime far more suited in this sector to cars like Ford's Kuga or Nissan Qashqai. So what exactly does it offer? Well, something that's probably far better suited to the kind of driving that most potential family buyers will actually do: a softer, more relaxed approach that balances body control, handling response and ride comfort aided by hi-tech multi-link rear suspension in a very impressive fashion. If the Koreans could make the variable assistance power steering a little more feelsome, it'd be even better still. The 1.6-litre GDi variant's petrol engine isn't any ball of fire, but rest to 62mph in 11.1s en route to 113mph should be enough for most. 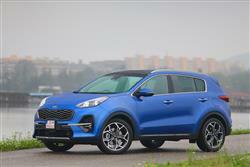 Kia has lightly updated this MK4 Sportage model's looks. At the front, there's a redesigned front bumper with smarter fog lamp housings, plus an evolved version of the brand's 'tiger-nose' grille. Sleeker full-LED headlamps with four-point LED daytime running lights also feature. At the rear, the slim combination lamps feature a more distinctive C-shaped LED light signature. The reversing lamp is integrated into a restyled rear bumper with longer reflectors positioned below and is finished with a flash of chrome across its base. In profile, the upgraded model is available with more stylish 16, 17 and 19-inch alloy wheel designs, and some versions have the sill trim finished in chrome. Inside, minor upgrades include a redesigned steering wheel, a revised driver instrument cluster and smarter ventilation controls. The infotainment systems in the Sportage have been upgraded. Depending on trim, there is either a 7.0-inch touchscreen or a new 'frameless' 8.0-inch system, each with DAB digital radio. All satellite navigation systems include Kia's Connected Services powered by TomTom as standard, offering a wide range of driving-oriented information. As before, the cabin is decently spacious, with plenty of headroom front and rear. At the back, the seats recline for greater long distance comfort. Out back, boot space is rated at 503-litres. 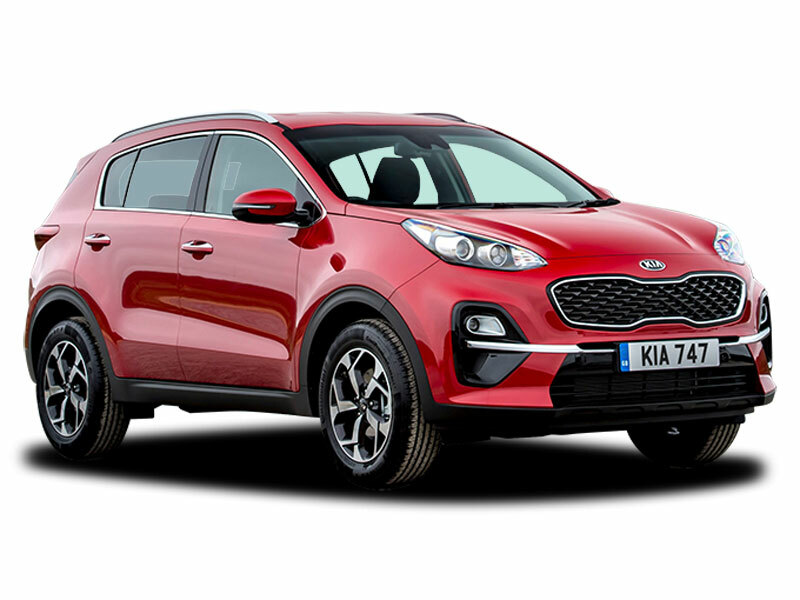 The Sportage 1.6-litre GDi petrol model is offered only with base '1` or second-rung '2'-level trim and pricing that sits respectively at either around £20,500 or around £22,500. The asking figures represent a saving of around £1,300 on the equivalent 1.6-litre CRDi diesel version. Both derivatives, like most entry-level family SUVs, only come in 2WD form. This improved fourth generation Sportage is looking to nick sales from the likes of Skoda's Karoq and maybe also its close cousin, the Hyundai Tucson - and if early data is anything to go by, it can also attract buyers looking at slightly pricier cars like Ford's Kuga, Mazda's CX-5 and even Toyota's RAV4. All models come well equipped. Even the grade '1' variants come with 16-inch alloy wheels, air conditioning, a DAB radio, Bluetooth with voice recognition, automatic light control, a reversing camera system and Apple CarPlay and Android Auto smartphone connectivity. In addition, there's Trailer Stability Assist (TSA), Hill-Start Assist Control (HAC), Downhill Brake Control (DBC) and cruise control. All models from grade '2' spec have a Lane Keep Assist System (LKAS) to alert a tired driver who may be about to stray into the path of a vehicle approaching from behind. Plus High Beam Assist (HBA) to switch between full and dipped beam automatically when there are other vehicles in their vicinity on unlit roads. And a Speed Limit Information Function (SLIF) within the instrument cluster. Customers have much higher expectations of family SUVs these days when it comes to running costs - one reason why every brand in this market (even Land Rover) has had to make available a super-efficient 2WD front-driven model at the foot of its range. All 1.6-litre petrol and 1.6-litre diesel 2WD Sportages are sold under Kia's green-fingered 'EcoDynamics' banner, which means that they feature ISG Intelligent Stop and Go technology that disengages the engine when you're stuck in traffic or waiting at the lights, then restarts it seamlessly. As a result of this, the 1.6-litre GDi petrol variant is able to manage 39.8mpg on the combined cycle with emissions of 162g/km, though those figures are some way off the 57.6mpg and 130g/km readings you get if you go for the 1.6-litre CRDi diesel. Overall, it's hard to fault to much about the Sportage's financial proposition. Residual values are looking very sunny, insurance is reasonable at group 10 for the 1.6, plus there's the seven year/100,000 mile mechanical warranty that attracts so many to the Kia brand. Kia hasn't made a huge step forward with this enhanced fourth generation Sportage model, but the improvements are certainly welcome. The rather plasticky cabin of the original version has been updated and there's certainly a greater dose of the kind of technology that modern buyers tend to want nowadays. Best of all is this car's value proposition. The fuel and CO2 returns aren't anything to write home about in this 1.6-litre GDi petrol guise but the major drawcard of this entry-level model is its affordable price. Around £20,000 gets you a lot of car. That's the kind of budget that quite a few realistic competitors just can't match. Explore this vehicle in more detail with our handy video guide. 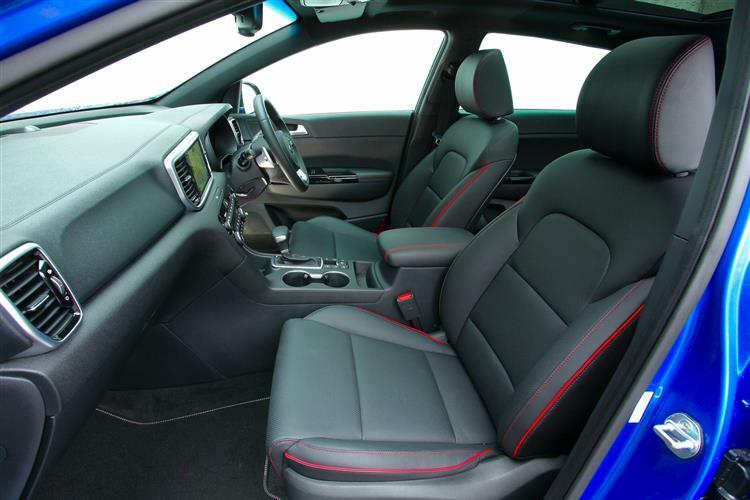 We’ll talk you through its main features, show you some of the highlights of the interior and exterior and explain why it could be the right fit for you. The information in this video was correct at the time of filming. We have made every effort to ensure this video is an accurate representation of the car above. However, please contact the branch for full details. To find your nearest Motability branch, please enter your location.